The Century House in Ridegway sits on land purchased in the early decades of the nineteenth century by John Rosborough. Rosborough established a plantation and built a house on the property before deeding it to his son, Dr. James Thomas Rosborough. In 1842 Dr. Rosborough sold the property to James Buchanan Coleman. At some point the first house was torn down, and Coleman replaced it with this one in 1853. The home’s bricks were made on site. Thomas Hines Coleman, the founder of the Florida State School for the Deaf and Blind, was born in this house in 1885. Lucy Coleman, who acquired the property following her husband’s death in 1872, ran a boarding house from the home. 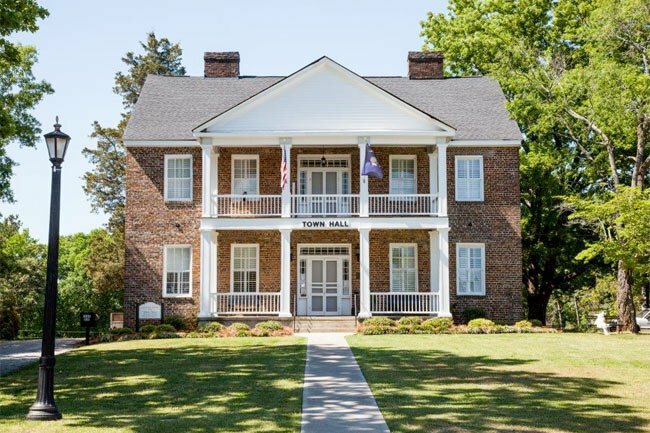 The Century House is best known for housing Confederate refugees during the Civil War and serving as headquarters for General Beauregard from February 17th through February 19th after he evacuated Columbia in 1865. Following the Colemans’ ownership, the home was purchased in 1960 by the Ridgeway Garden Club. The organization named the home the Century House, as it was more than 100 years old when the garden club bought it. The group conveyed the home into a community facility before the Town of Ridgeway acquired the property and restored it in 2007. 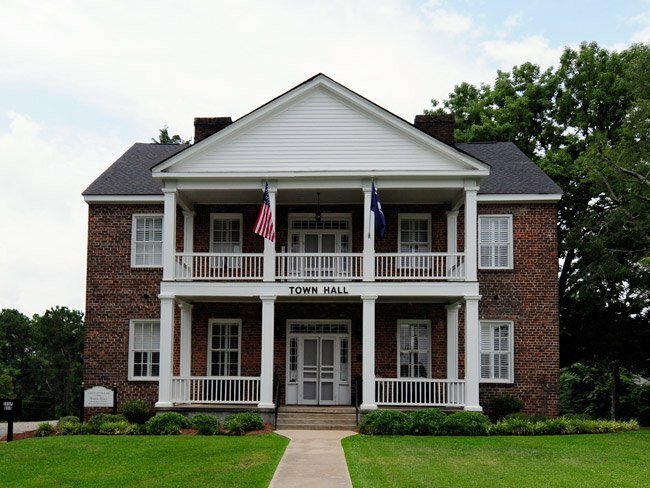 Today the Century House serves as Ridgeway’s Town Hall and is the location of the annual Arts on the Ridge, an event held each spring to showcase local artists. (Brick House; Beauregard’s Headquarters) Century House is significant architecturally and historically. Situated on the Charlotte and South Carolina Railroad near the center of town, the house became the center of the social and business life of Ridgeway. 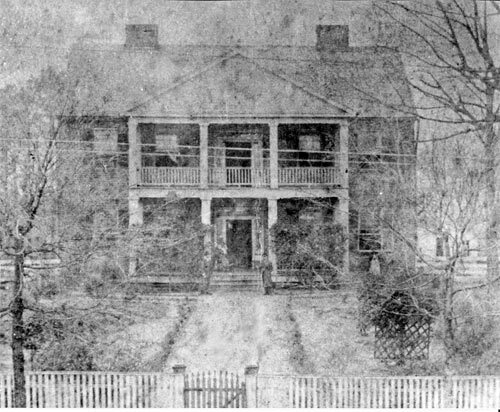 During the Civil War, Century House entertained and sheltered many refugees from Low Country South Carolina and Georgia. Century House also served as the headquarters for General P.T.G. Beauregard and his staff when Columbia was evacuated upon the approach of Gen. Sherman’s Army in 1865. Century House is a large, two-story brick house built ca. 1853. The Greek Revival design features double-tiered, balustraded piazzas and a crowing pediment on the façade. The double doors on both floors have glass transoms and sidelights. The original interior was composed of four rooms with an unusually large dining room and a wide hall on the first floor. The second floor had four rooms, a central hall, and a large ballroom. Two stairways include the main staircase and a service stairway to the ballroom. Have never seen the name Murphy, but will be on the lookout for it. I am fairly familiar with the names in Ridgeway/Fairfield Co. during this time. James Buchanan Coleman and Asneath Davis were married 8 October 1840, so it would have been built in that time period. My great-great-grandfather, James Buchanan Coleman, built this house. He had already purchased the Roseborough Place to bring his bride, Aseaneah Davis…so it could not have been on same plat of land. They could see the bricks being made at night in the old kilns near the stream. This house was the birthplace of the Coleman children. Several generations of Colemans lived here. After the Civil War and the death of JBC, the family turned it into a hotel for the travelers coming through Ridgeway on the train. Dee Hill, my 3x great-grandfather, John Cupit Rosborough, and his parents, John Rosborough and Ann Cupit, used to own the Rosborough house that sits where the current Century House is today. John Cupit Rosborough died in 1860. His parents John and Ann came from Antrim, Ireland. who were from Ireland. My great grandfather was born in the Century House in 1844. His name was Benjamin Murphy. Please what help you can give me would be greatly appreciated.